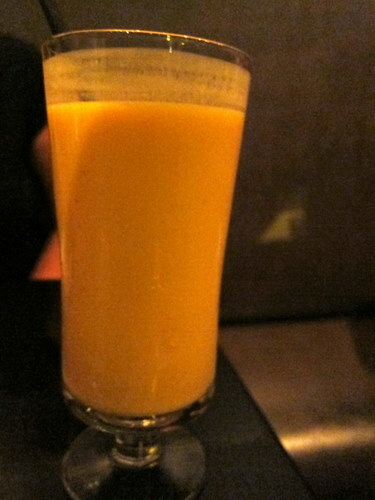 Mango Lassi is an Indian drink which is full of flavor, freshness and energy. Mango is also known as “King of Fruits” in South Asia because Mangoes found here are very sweet and they have a different taste. They are different than Australian mangoes, Mexican mangoes and Thai Mangoes. In Pakistan, Mangoes from the city of Multan are very famous for their taste and sweetness. People of South Asia love Summer season just because of mangoes and they try different drinks and sweet dishes with this delicious fruit. Mango lassi is one of them. Do try this ……. .
-Place all ingredients, except the ice cubes in a blender and shake for around 30 – 40 secs. -Pour it into the glasses and add some ice cubes.